Me plus you. Multiply by your smile. Minus the drama. A fraction of your heart. I’ll solve your problems. 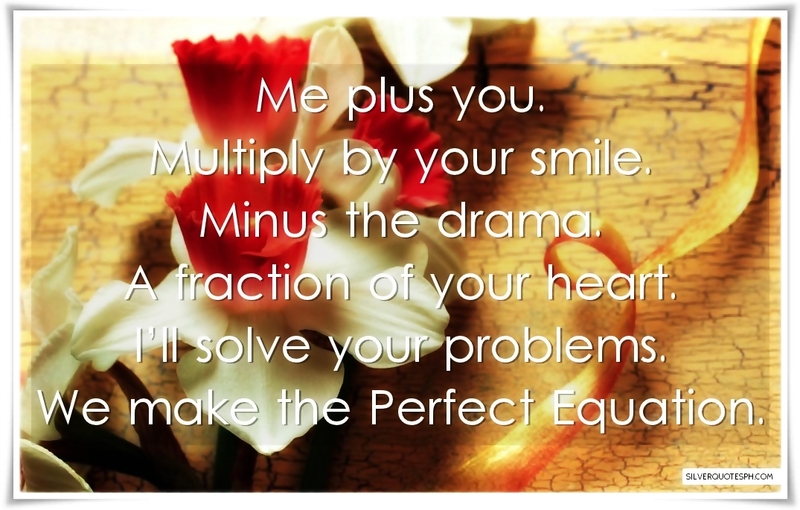 We make the Perfect Equation.